We offer services and products on electric vehicle charging technology. Zebra Electronics plays an important role in the field of electromobility. 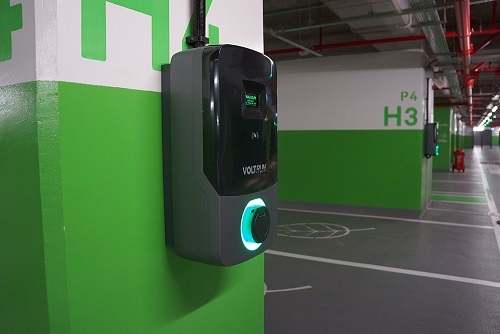 Our intelligent charging solutions, carefully planned station network services and efficient control combine all the necessary aspects of modern charging. We focus on a holistic approach, so our experienced engineers in the fields of electric, electronics and information technology are working together to develop innovative solutions that meet the high standards Zebra Electronics targets. Our goal is to provide flexible and efficient products that provide the optimal solution for our customers' individual needs. Providing expert consulting services is as important as offering a suitable range of products to meet the needs of all application areas. This approach also accounts for the particular individual needs of the company and its operational processes. This knowledge has made Zebra Electronics one of the driving forces in its field. Low-cost, flexible charging solutions contribute to better, faster, and more efficient expansion of required infrastructures. We offer tailor-made solutions for different business models specially developed for a wide variety of industries seeking to capture the tremendous growth potential in this sector. Zebra Electronics customers are relying on our competence and expertise in the creation of charging infrastructure of all kinds and sizes. We serve as a service provider that provides consulting, planning, execution, installation and maintenance services. Using high-quality materials and components only, we work together with our trusted partners and suppliers to improve our solutions for many years. Our goal is long-term improvement of performance, ease of use and durability. We have many years of experience in designing, developing and operating reliable charging solutions. You can also provide qualified, expert installation and commissioning services at any location. If you are looking for a solution partner with technology, research collaboration, field-proven technical know-how for innovative and productive charging concepts, you are at the right place.